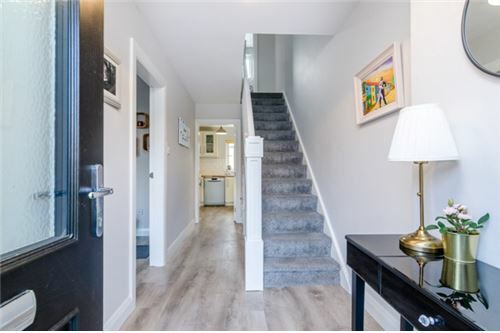 Bryan Little of RE/MAX Partners presents the fabulous 3-bedroom terraced home upgraded to include a new kitchen and full bathroom upgrade. 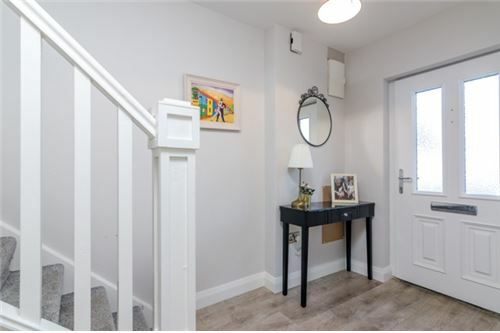 Décor is fresh and neutral throughout and maintenance has been to a high standard. 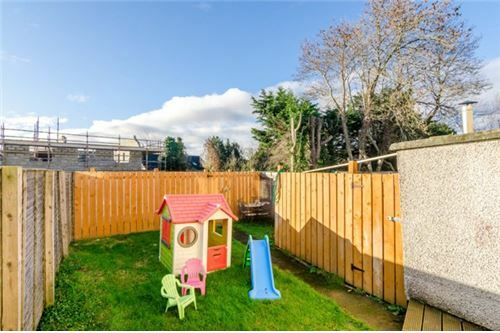 Outside to the front is off street parking with a neat lawn and the rear is laid to decking and lawn with a rear entrance. 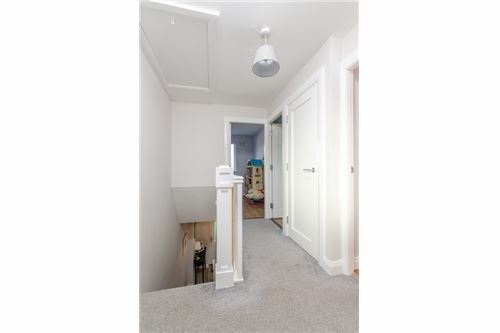 c.1.78m x 5.02m Light fitting, laminate floor, under stairs storage. 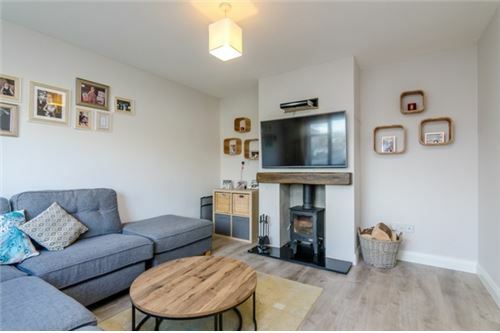 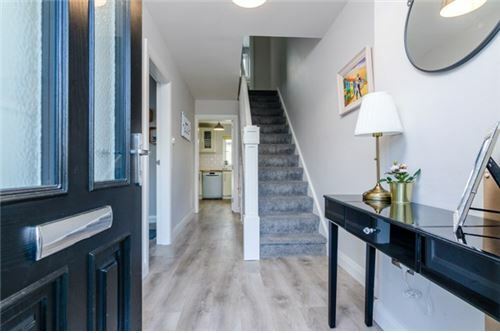 c.3.43m x 3.91m Light fitting, stove set into fireplace with a wrought iron insert and polished hearth, blinds, wooden floor, TV point, phone point, doors leading to kitchen. 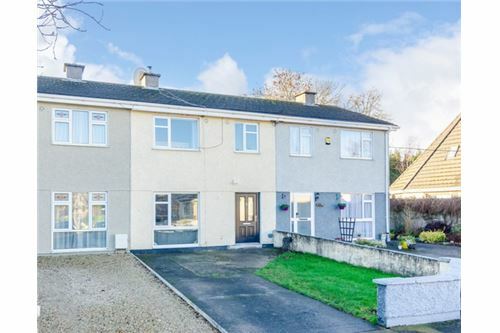 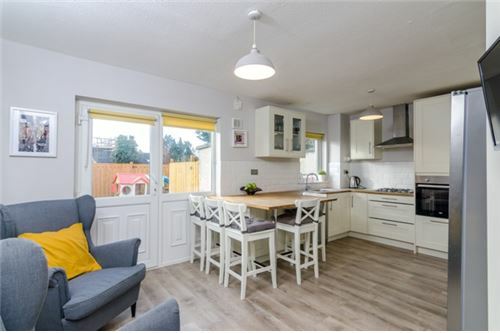 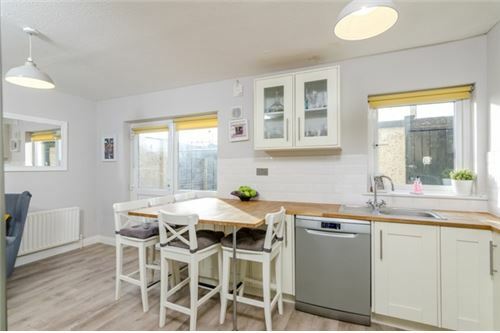 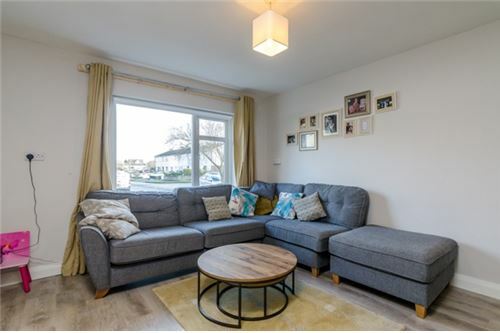 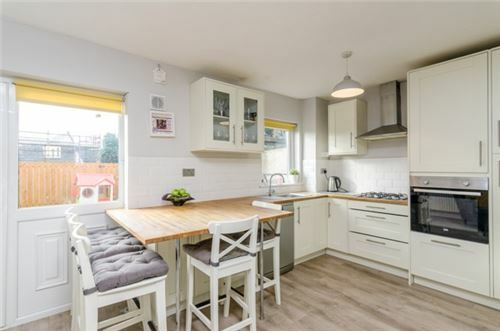 c.5.39m x 3.46m Light fitting, high quality kitchen, tiled splash back, stainless steel sink, area plumbed, oven, hob, extractor fan, breakfast bar, door leading to decking area/patio area, TV point, blinds. 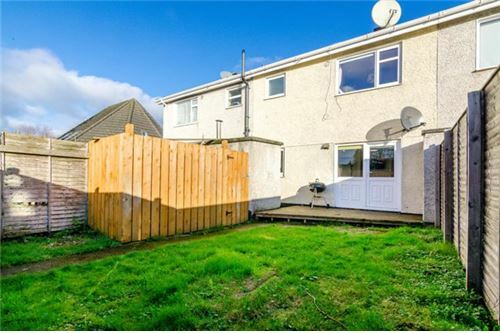 c.1.85m x 2.74m Light fitting, attic access, folding attic stairs/ladder, attic partially floored. 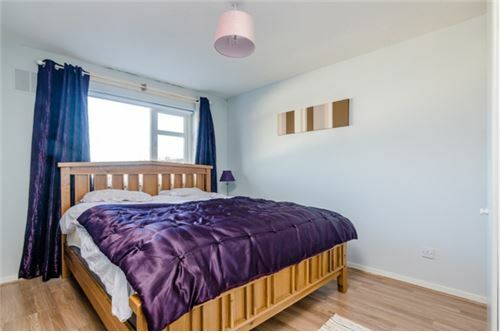 c.3.90m x 3.02m Light fitting, wooden floor, blind, fitted wardrobes, TV point. 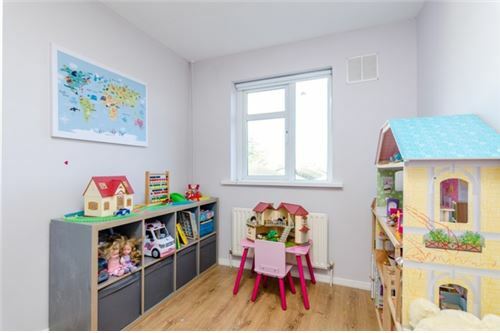 c.3.41m x 3.53m Light fitting, wooden floor, blind, fitted wardrobes, TV point. 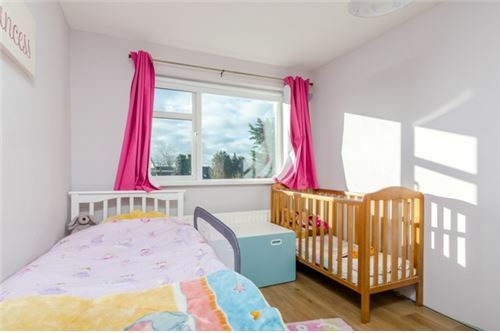 c.2.34m x 2.88m Light fitting, fitted wardrobes, blind, wooden floor. 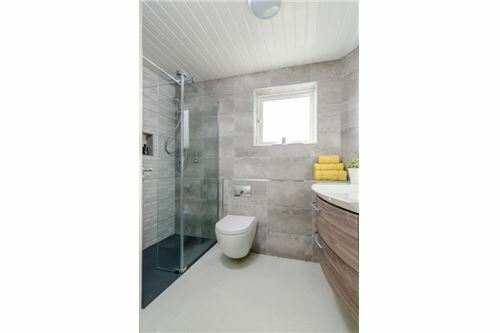 c.1.65m x 2.45m Light fitting, fully tiled wet room, Mains shower, shaving light, WC, WHB.